In 1953 Howard Arndt and his brother in law Dean Yoho founded Belgium Trucking to haul canned goods for Krier Preserving Co. 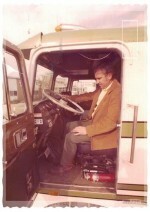 The success of Belgium Trucking led them to open How-Dea Service Center on Wisconsin Highway 57 in 1967. 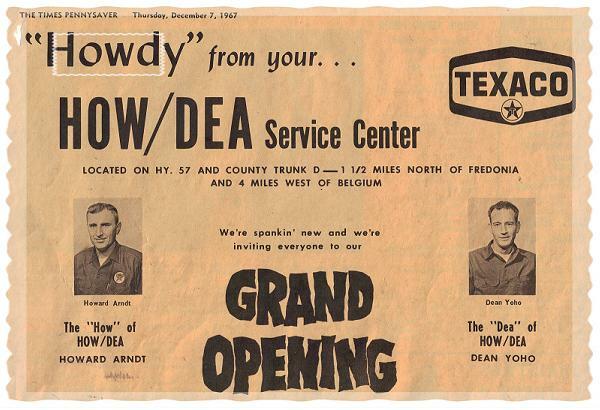 How-Dea's name was derived from Howard and Dean's names. 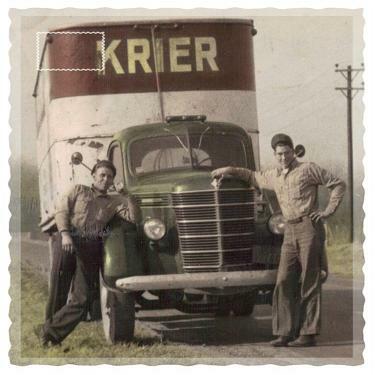 When we operated on Highway 57 our business consisted of truck repairs, gas and fuel sales and a trucking company. With the development of I-43 Howard began to envision a "travel center" at the Belgium exit. 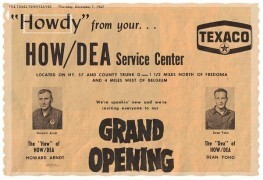 How-Dea Service already owned a small gas station at this location. In 1986 the property where we are now located became available. We jumped at the opportunity to make the move. It was then that we decided to be in the Truck Stop and Travel Plaza industry. In December of 1986 How-Dea Service Center opened our new truck stop and the next year we opened our restaurant, HoBo's Korner Kitchen, next door. Once again the name HoBo's was derived from the names of Howard and his wife Boots. Soon after HoBo's opened How-Dea purchased a tavern located across the street from the restaurant and truck stop. This property was purchased as the future site of a new convenience store. In 1994 the tavern was demolished and in May of 1995 we opened our new How-Dea Mini Mart. Our mini mart also leased part of the building to Belgium's first fast food restaurant. .
After Dean Yoho's death the company ownership went to Howard Arndt. 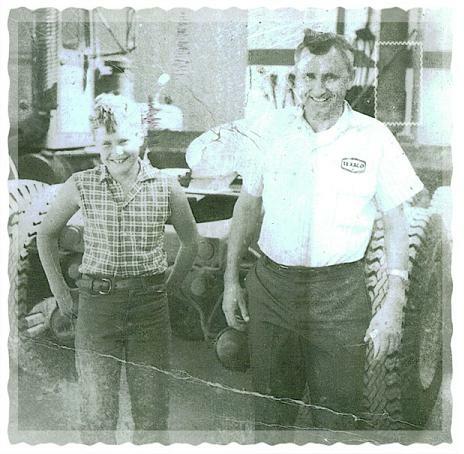 Over the years many of Howards children have come to work for the company. Three of his children took over management positions in the company and over the years the ownership of the company was transfered to them. John Arndt, Patrick Arndt and Sherry Arndt Mulloy are the current owners and managers of the corporation but you will still see Howard roaming around on occasion.